In 2016, Tamami Honma performed all 32 Beethoven Piano Sonatas and with Julian Brown all 10 of Beethoven's Sonatas for Violin and Piano. 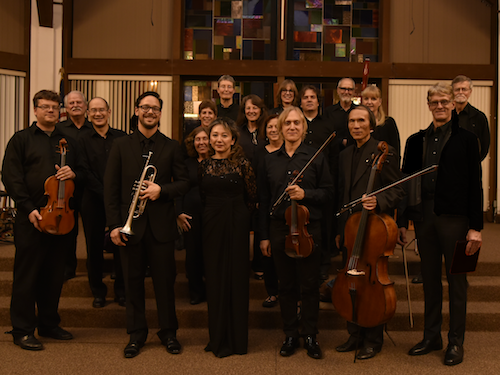 Last year they continued their Beethoven Odyssey with performances of all five of the Piano Concertos and the Violin Concerto. Beethoven made a number of attempts at composing piano concertos during his teens but only the piano score of one in E flat major written when he was 14 has survived. Although reconstructions of this early work are occasionally performed, the five piano concertos Beethoven wrote as an adult are the ones that occupy a revered place in the piano repertoire. The first two concertos appeared during Beethoven's early years in Vienna, and provide a showcase not only for his technical brilliance as a keyboard player but also for his mastery of classical form, one that had been refined to a new level of perfection by Mozart. The Third Concerto, however, coming several years later demonstrates Beethoven's rapid evolution and irrepressible ingenuity, having advanced beyond the Mozartian model to something on a more symphonic scale. And then came the haunting Fourth Concerto, sometimes said to be Beethoven's greatest piano concerto. Right from its hushed opening statement on the solo piano, it's clear with this work we are about to witness something extraordinary. Yet the Fifth Concerto, known as the Emperor, does not disappoint being in many ways the grandest and most majestic of the concertos. 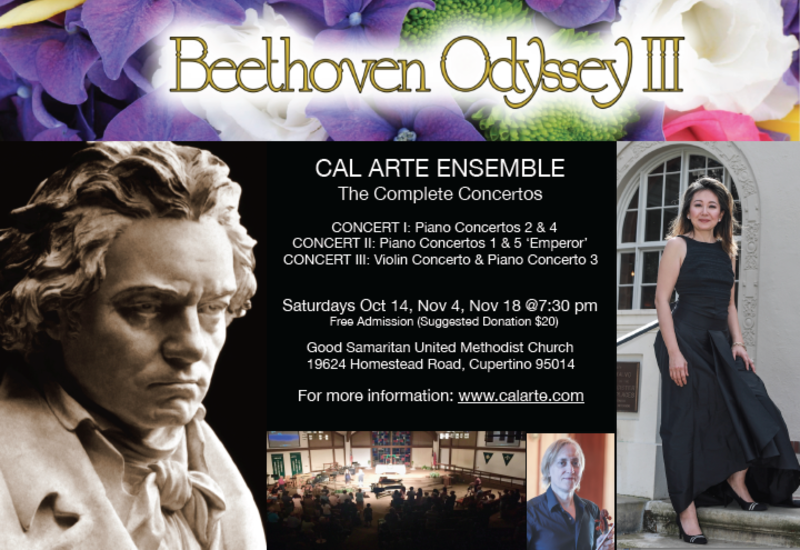 Besides these five marvelous works, there are only two other concertos Beethoven composed beyond his youth. The first, coming around the same time as the Fourth Piano Concerto, was the Triple Concerto for Piano, Violin, and Cello (performed earlier this year by Tamami with the Saratoga Symphony), and then the luminous Violin Concerto, a work of the deepest sublimation and often described as the greatest violin concerto ever written.